S: I.M.O.N. 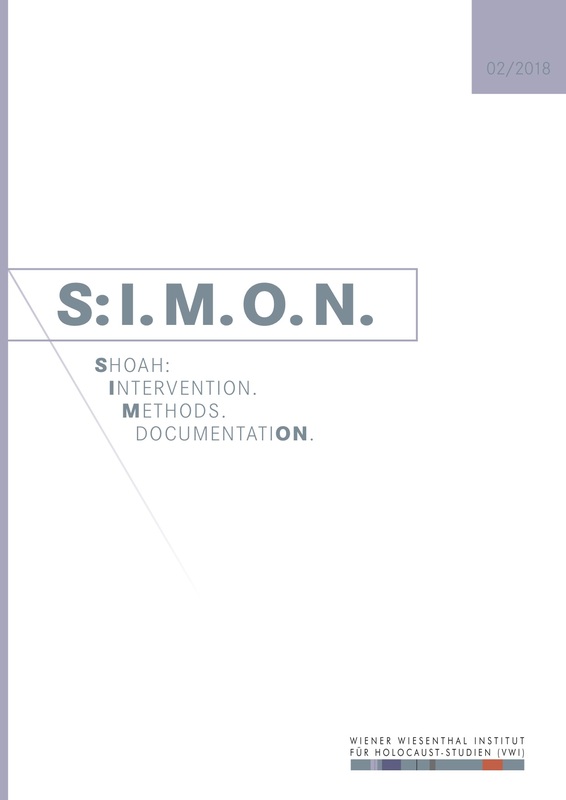 Shoah: Intervention. Methods. Documentation. Vol 5 No 2 (2018): S:I.M.O.N. SHOAH: INTERVENTION. METHODS. DOCUMENTATION. Link to the whole issue as single PDF. Representing Genocide The Holocaust as Paradigm?